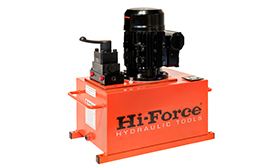 The HEP103 range of two stage electric driven hydraulic pumps is suitable for a wide variety of applications and pumps are available in either 110 volt or 240 volt single phase electric motor options. 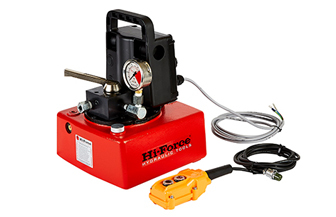 Both voltage options also offer a choice of manual or electrically operated control valves, available as 2-way, 3-way or 4-way options with additional features like open centre, closed centre and locking valve designs available. 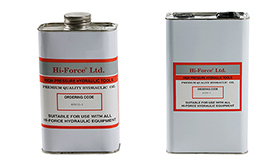 Maximum working pressure is 700 Bar with automatic low to high pressure changeover fitted as standard. 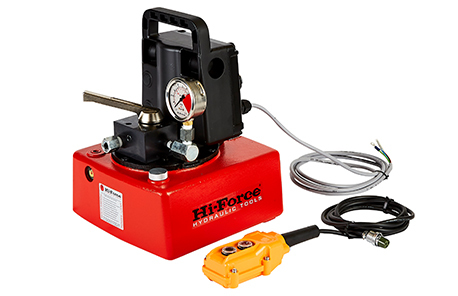 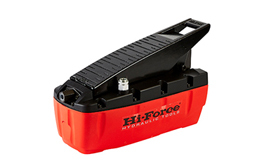 All models are supplied complete with a glycerine filled hydraulic pressure gauge, pre-filled 4 litre usable oil capacity reservoir with oil sight level gauge and an integral carrying handle for easy transportation of these lightweight, compact and versatile pumps to the job site. 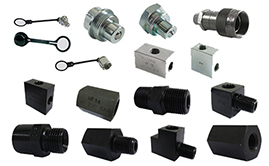 Models featuring 2-way solenoid valve, normally closed (hold function), suitable for use with single acting cylinders and tools, requiring hold. 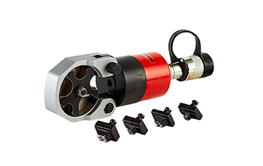 Models featuring 2-way solenoid valve, normally open (auto retract function), suitable for use with single acting cylinders and tools, requiring auto retract. 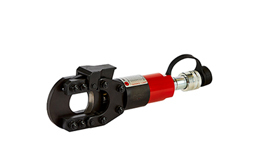 Models featuring 3-way manually operated valve, suitable for use with single acting cylinders and tools. 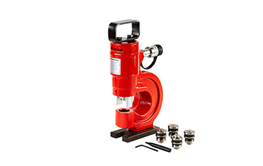 Models featuring 4-way manually operated valve, suitable for use with double acting cylinders and tools. 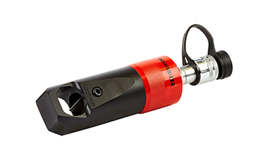 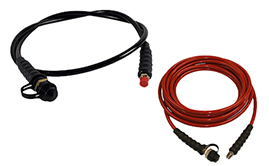 Models featuring 4-way solenoid valve, locking feature on A and B port, suitable for use with double acting cylinders and tools, requiring hold.